The downside to the photo opportunity was the Sun had not yet risen making photography a bit of a challenge. 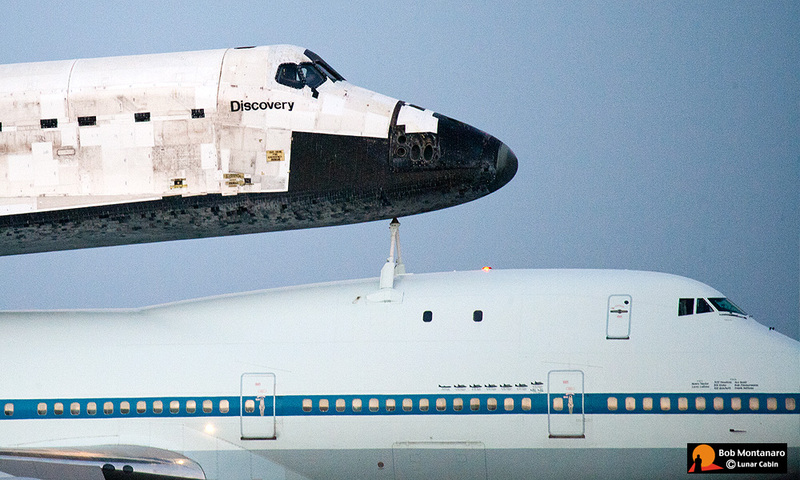 The cone extending from Discovery's tail covers the Main Engines and smoothes the air flow moving past the Shuttle to minimize air turbulence on the tail fin of the SCA. The cone will be removed and used on the other Shuttle ferry flights. Note the bird atop the light fixture. After the photo op, the SCA taxied to the north end of the runway. 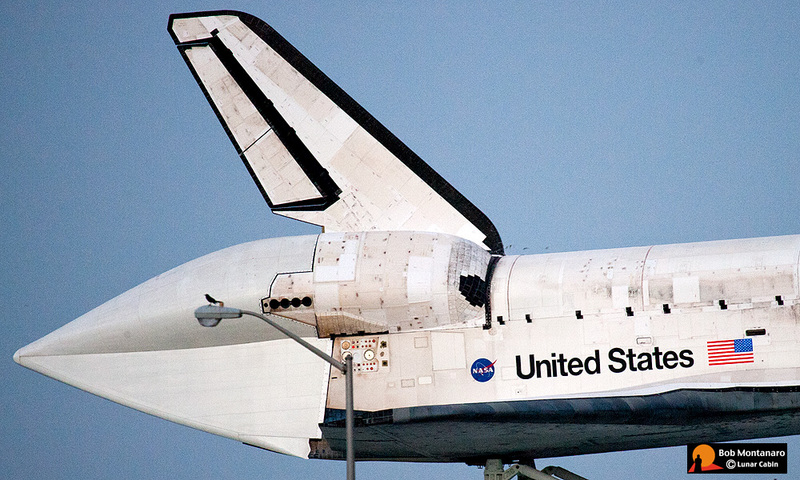 Prior to the SCA taking off, this NASA T-38 aircraft blasted off the runway with a photographer in the backseat to document Discovery's flight around the Space Coast and Kennedy Space Center. The ever present NASA TV helicopter.